“Foreword: Diversifying Intellectual Property”. In Diversity in Intellectual Property: Identities, Interests and Intersections. 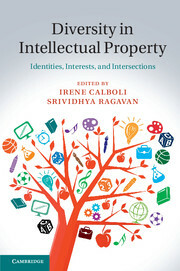 Irene Calboli and Srividhya Ragavan eds., (Cambridge: Cambridge University Press) xvii-xix, 2015.